1. Go to download page (http://www.python.org/download/ for now) and download what you need (I choose Python 3.3.2 Windows x86 MSI Installer). 2. Execute downloaded file to install Python (Assume you installed it at C:\Python33). 4. 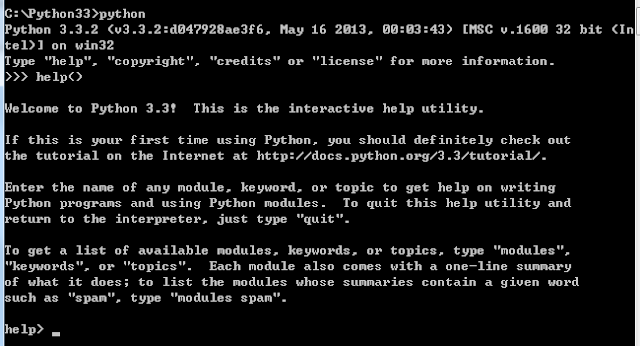 Type "python", press Enter, type "help()", press Enter. 5. Go to tutorial page displayed in help message. 6. Go through tutorial to learn it.